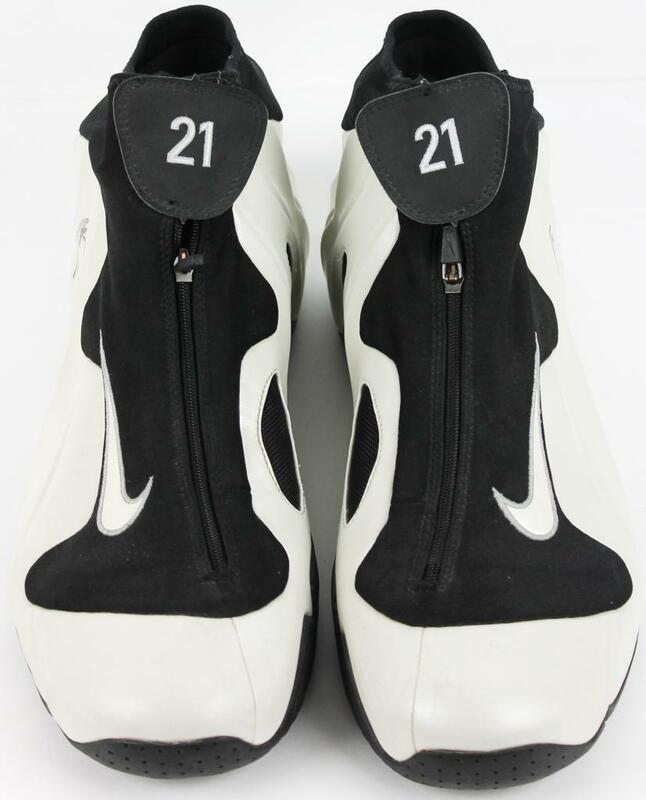 This week's look at some sneaker gems found on the bidding floor of eBay, including a game-worn pair of Tim Duncan's Nike Air Flightposite PE's. 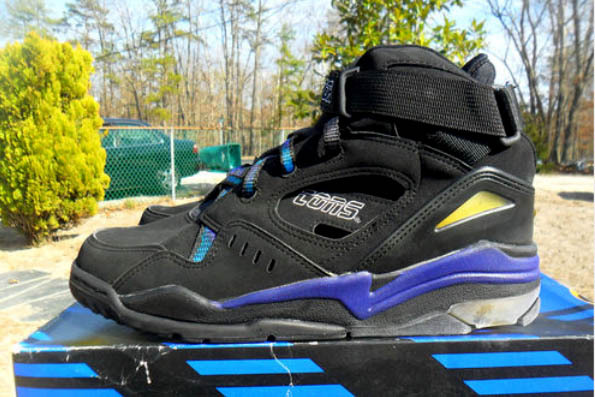 It's time for another look into the eBay bidding floors to find some sneaker gems. 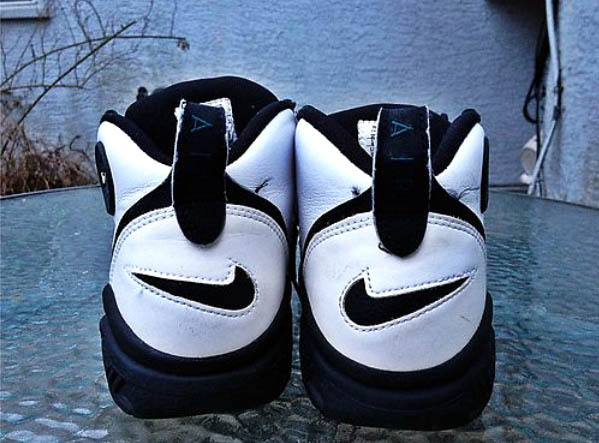 This week is packed full of great finds, including a pair of Tim Duncan's game-worn Nike Air Flightposites and an incredible deadstock pair of Larry Johnson's signature Backjam. 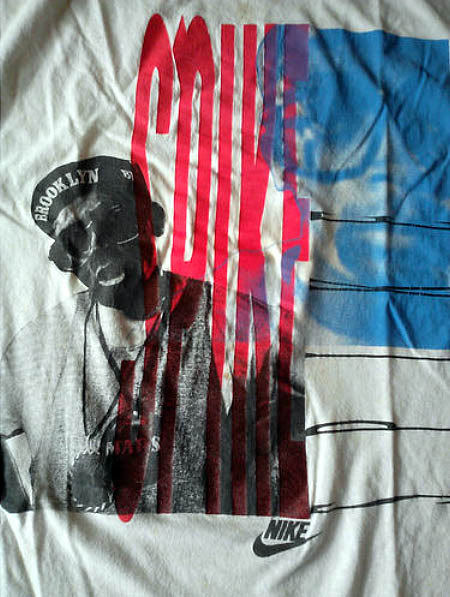 We even found a vintage Nike Mars Blackmon shirt in honor of Spike Lee's birthday today. 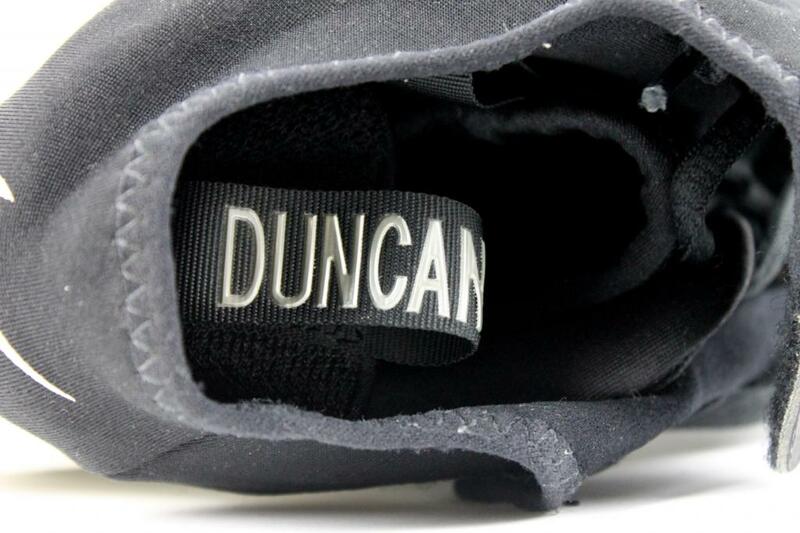 Check it all out, including the always popular Fakes of the Week. 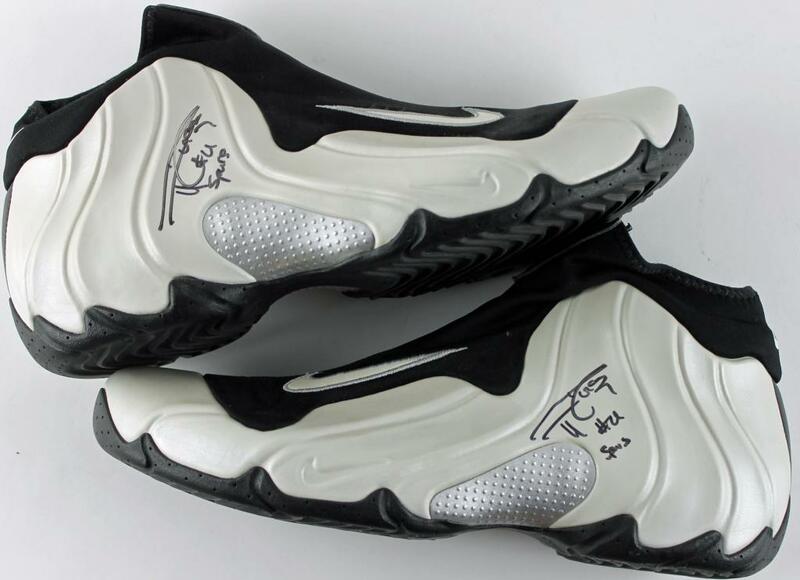 The Air Flightposite is still one of coolest Nike Basketball sneakers, and here we have an awesome game-worn and signed Tim Duncan PE pair. 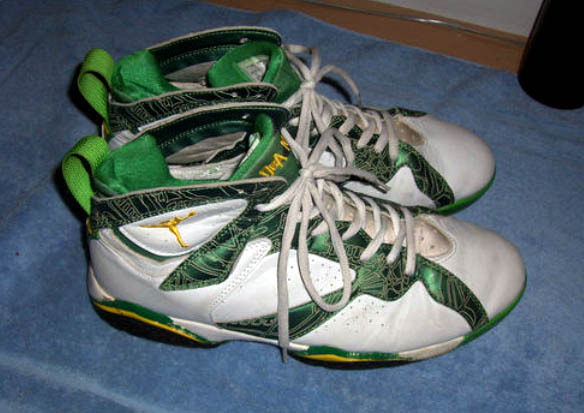 You may never see these again, especially not autographed, but the $1,500 price tag unfortunately reflects that. 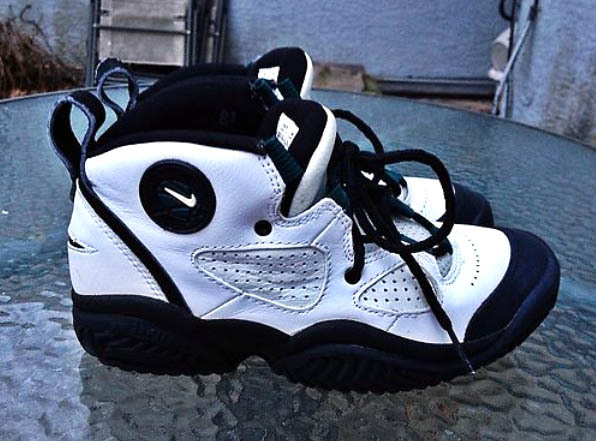 This seller has been popping up in This Week on eBay almost every week lately, and he's back again since I'm a sucker for almost any vintage Larry Johnson Converse sneakers I can find on eBay. 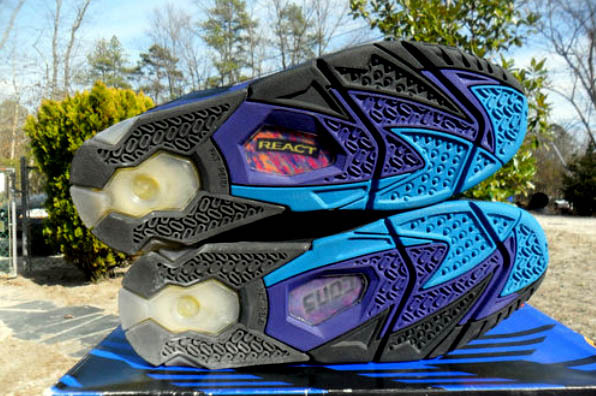 Here we have a pair of the Backjam in incredible condition for its age. A Grandmama classic! If you didn't grow up in the 90's, we don't expect you to remember these. A relative of the Air Darwin, the Air Baja is an outdoor basketball model built to last. This funky shoe will probably never return again, so if you happen to be a size 8.5 you should grab this lightly used pair for only $80. It's Spike's birthday today, and we just happened to come across this awesome vintage Nike t-shirt featuring Mars Blackmon. Usually if you see Mars on a shirt, he's with MJ, so this one is extra cool. 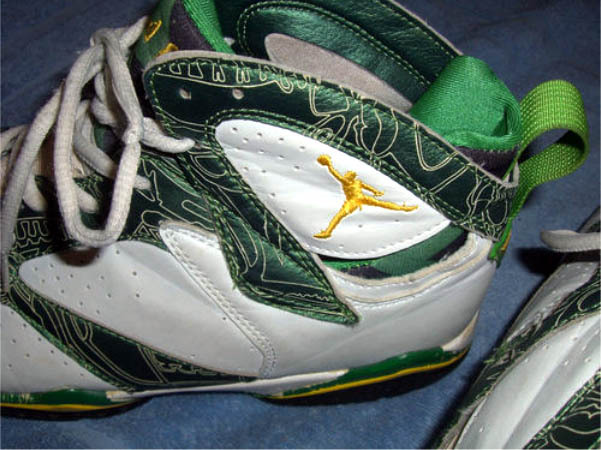 It's a little past St. Patrick's Day now but...Leprechaun Laser Air Jordan 7's?